Join in on the fun! Cast your vote today for the candidate cookie cake of your choice! 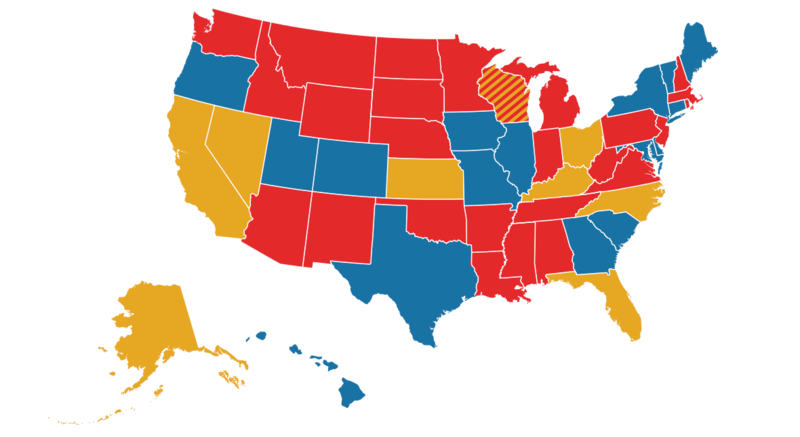 In addition to our “popular vote”, we are hosting our own Electoral College. We’ve partnered with companies across the US – one company in every state received one of each cookie cake. Whichever cake ran out first is declared the winner in that state. 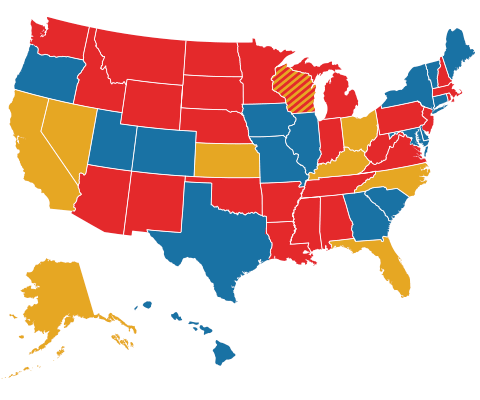 The final results of our Electoral College are in! 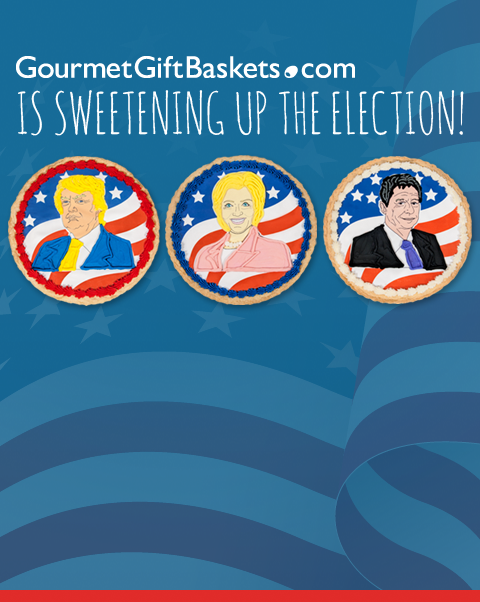 Disclaimer: GourmetGiftBaskets.com, its partners, vendors and subsidiaries are not affiliated with, sanctioned by, or endorsing any candidate. This Presidential Cookie Campaign and the associated polling is strictly being done for fun.